AMC is an American television channel owned by the AMC Network. It broadcasts a combination of films and a few original TV shows as well. If you’re a fan of AMC, you can stream AMC on Kodi using several different add-ons. If you are a Kodi user or even if you have never heard of Kodi, and you want to live stream AMC, then this tutorial is for you. Below, we’ve listed fully-legal add-on options. While some add-ons do exist beyond this, we’ve emphasized any the legal streaming options available through Kodi. We do not recommend users turn to pirated streams for AMC or any other streaming content. Instead, seek out legal streaming options. However, we’ve provided a short list of unofficial third-party add-ons that are commonly used to access AMC streams. We’ve explained what these add-ons are, how they work, and why we believe they should be avoided. Kodi is a free open source media player application which was developed by the XBMC Foundation. It is available for a wide range of devices such as Windows and Mac computers, Android devices, jailbroken iOS devices, Raspberry Pis and more. You can conveniently control Kodi with a remote control or gamepad to stream both audio and video from a variety of sources. See also: Our guide to Kodi Movies. VPNs encrypt your internet traffic and reroute it through a server in a location of your choice, hiding your location and identity. Your ISP may place data limits on your online streaming habits from IPTV services such as USTVNow and PlayStation Vue. Bearing this in mind, they may then try to throttle your connection when you use a service such as Kodi or try to disable your access to such a service altogether or send threatening legal letters. To avoid this, connecting to a VPN is recommended when using Kodi. Note that VPNs also allow you to access geo-restricted content and protect your online privacy. Streaming requires a large amount of bandwidth. Live streams, in particular, don’t compress video as much and thus require more download bandwidth. A reliable, fast, and secure VPN provider is essential. We recommend IPVanish, which is a popular choice in the Kodi community and provides the necessary sturdy connection, plentiful capacity, and a high level of privacy protection. 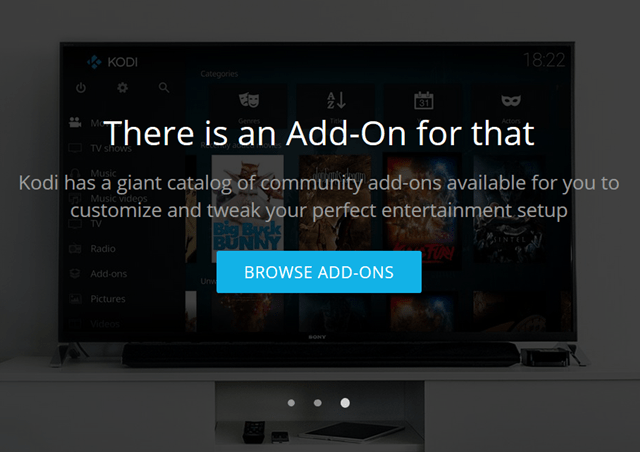 Additionally, even official Kodi add-ons may come with significant security risks. Although normally secure, add-ons can be hijacked through the repository. Hijacked add-ons can be used to deliver man-in-the-middle attacks on your computer, allowing the hacker to view your web activity and even has the potential to allow that hacker to gain access to your computer system. This is less of a concern with official add-ons but is a major concern for third-party add-ons. A VPN will help prevent spying on your activity, circumventing man-in-the-middle attacks that threaten your data. We can confirm that IPVanish works with all Kodi Addons we’ve tested. 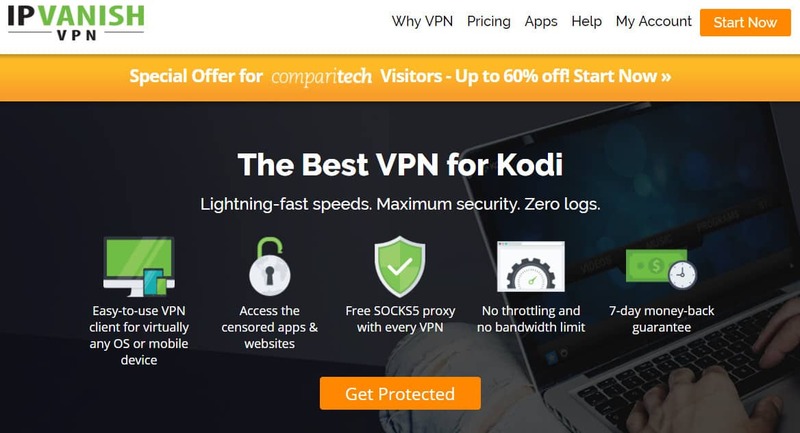 If you want to to try an alternate provider, check out our full list of recommended Kodi VPN services. If you are an American expat or part of the American military abroad, a wide range of live American channels are available to watch on your computer, mobile device or television with USTVNow and by extension the USTVNow Plus add-on. USTVNow Plus essentially allows you to access your USTVnow subscription in Kodi. Before using USTVNow Plus, you will first need to sign up for an account here. Please note that you will need to sign up for the account using an email address or else you will not be able to sign in on the USTVNow Plus add-on. Do not sign up for an account via your social media details. 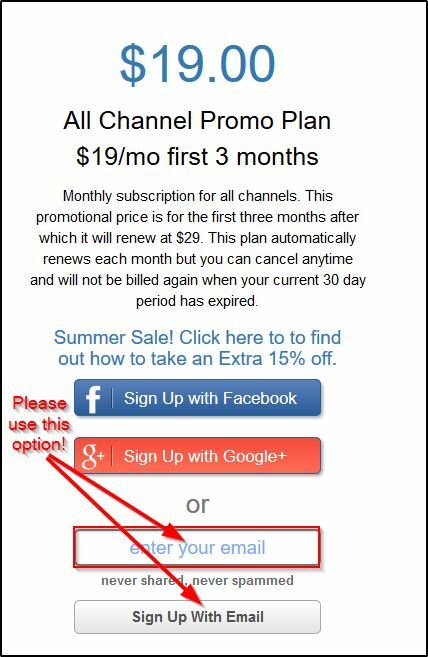 You will need to subscribe to at least the All Channels plan for $19 (GBP $14.84) to be able to watch AMC, however. You will also be asked to confirm that you are a U.S. citizen during the registration process. USTV Now claims to be a fully legal service for American citizens living outside of the United States. While using it from inside the US is restricted, some users have noted that USTV Now does not verify the location you enter upon signup and streams can still be accessed from within the United States if you connect to a VPN server outside the country. USTVNow Plus is found in the Kodil (Kodisreal) repository. Looking for an additional option? Considering trying PlayStation Vue. PlayStation Vue is the cord cutter’s TV option PlayStation offers up to customers. However, you don’t actually need to have a PlayStation to use it. After purchasing a subscription to the service (and admittedly hefty $39.99 price tag for the lowest cost option), you can download and install a Kodi app that lets you connect to your PlayStation Vue account. Note that you’ll need to right click on the add-on before opening it up to add in your username and password. If you don’t do this first, you won’t be able to access streams. Despite their popularity, most third-party add-ons that offer AMC streams do so through unofficial methods. These streams are typically rebroadcast without permission from the copyright holder, making them pirated and in most cases, illegal to rebroadcast. The following Kodi add-ons are known to offer pirated streams through Kodi. What is it? Covenant is a widely-used Kodi add-on that arose as a replacement for the Exodus Kodi add-on. Covenant scrapes the web for websites that are offering streaming content, then displays that content in Kodi. Many users turn to Covenant because it lists a large number of streaming sites and automates the process of finding and streaming through them. Why should you avoid it? For starters, you will not be able to access live streams here. Additionally, you will be only getting pirated streams which the sites Covenant lists have no right to rebroadcast or stream. 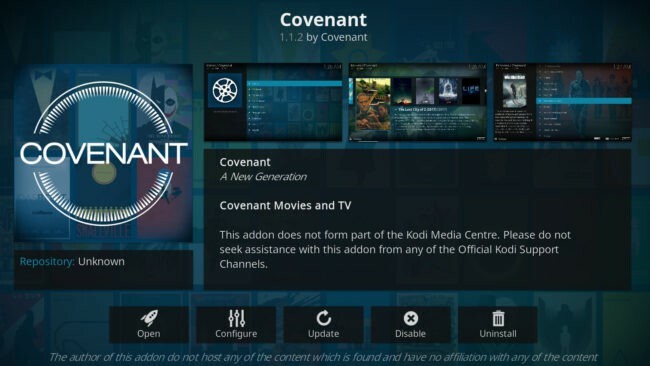 We do not recommend Kodi users turn to Covenant for AMC streams. What is it? Exodus preceded Covenant and works exactly the same. It pulls in streams from sites and displays that content in Kodi. Some legal options exist in Exodus, such as public domain films like the earliest version of Little Shop of Horrors. However, these options are few and far between. Why should you avoid it? 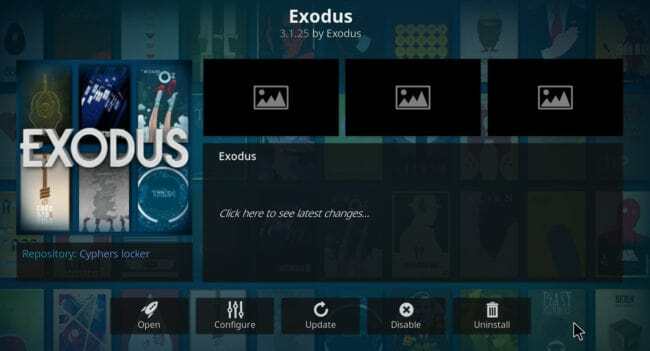 Exodus was once the most popular streaming Kodi add-on. While it still works and is still popular, it is no longer supported, making it not only a poor option for streaming content but also uniquely dangerous. Exodus has been used to hijack systems in the past and used as a DDoS botnet. We do not recommend users turn to Exodus for streaming AMC, as it only provides pirated streams and may not be the safest add-on option. What is it? 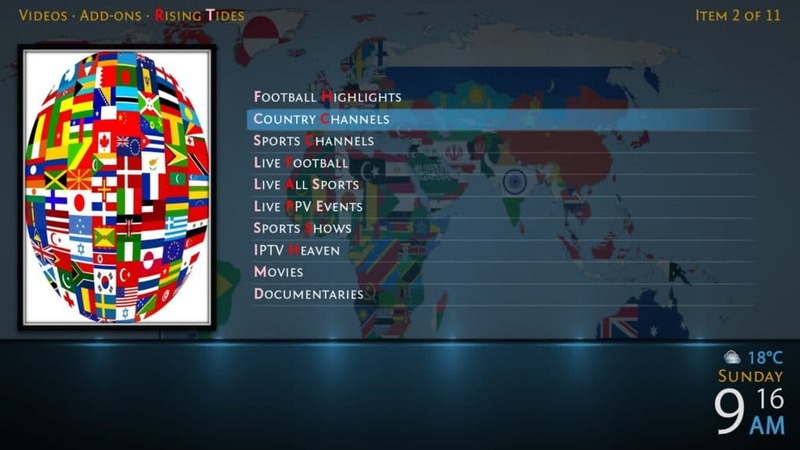 Rising Tides is a recent Kodi add-on gaining some attention. This add-on pulls in live streams for different networks. Given it does not maintain active rebroadcasting rights, these streams are pirated. Why should you avoid it? We do not recommend Rising Tides due to its lack of rebroadcasting rights for AMC streams. While some legitimate content may exist here for some international channels, the vast majority of options here focus on illegally-obtained broadcasts. Please note there is no guarantee of the stability of the live streams found in the add-ons above. They may stick, buffer a lot, or just not work. Some streams may even cease to exist after a while. This means that users will usually have to take some initiative to find working streams displaying their favorite channels. With that being said, the above add-ons generally don’t make you work too hard to find your favorite content.